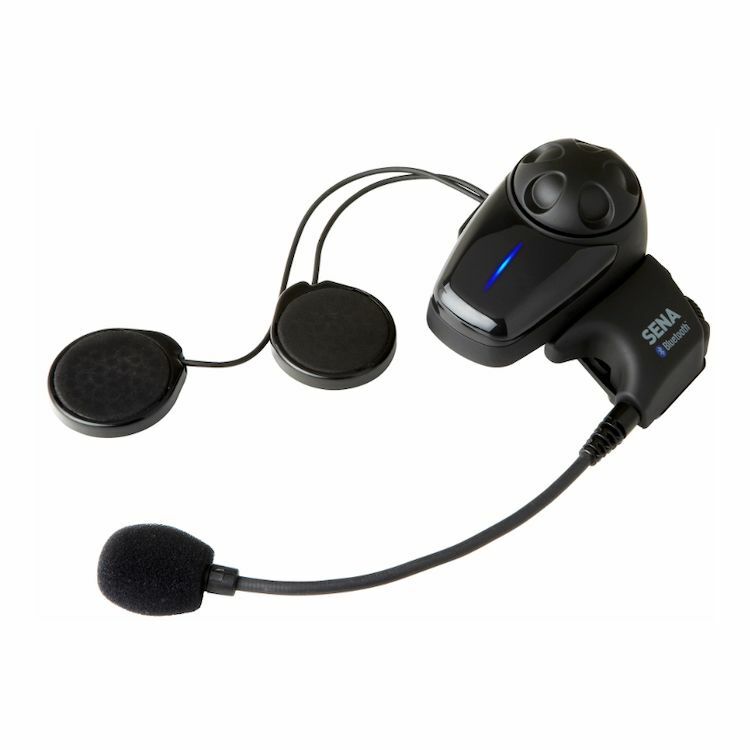 The SMH10 is a Bluetooth v3.0+EDR Class 1 Stereo Headset with long-range Bluetooth Intercom designed specifically for motorcycles. 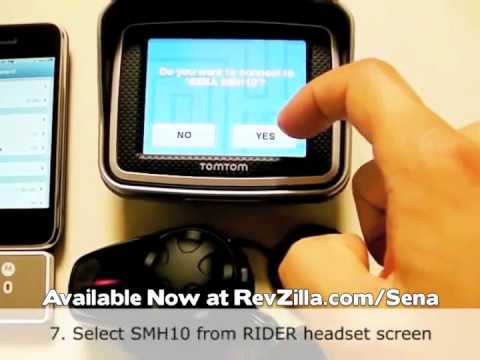 With the SMH10 on your helmet, you can call hands-free on your Bluetooth mobile phone, listen to stereo music or voice instructions of GPS navigations by Bluetooth wirelessly, and have intercom conversations in full duplex with a passenger or other motorcycle riders. 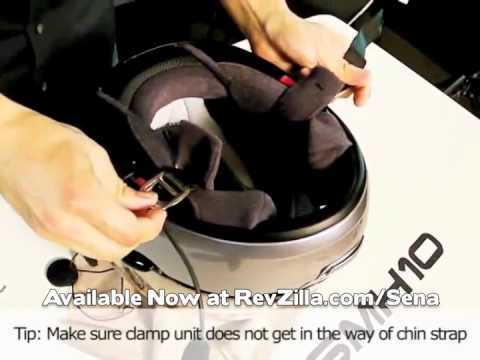 Thanks to the latest Bluetooth v3.0+EDR and the advanced digital processing technology, the Sena SMH10 bluetooth helmet communication system offers the best sound quality for both incoming and outgoing sound in its class. Also, the easy-to-access and intuitive button operations make the SMH10 a perfect companion for motorcycles. Please Note: Some of the above features require updating to the latest firmware version. 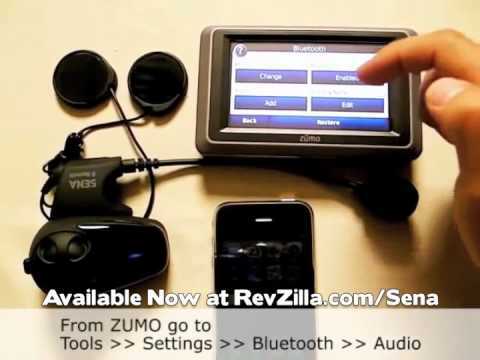 The firmware is a free download from Sena Technologies. After simple software update and install, pairing with another SMH-10 was simple. Easy Bluetooth connection to my mobile phone allows me to listen to music and answer calls on the ride. Sharing music and conversation with my passenger and other Bluetooth devices makes my ride much more enjoyable. I now have 3 systems for all the helmets I own. Good product easy on the wallet. After years of use, both on and off road/trails, the headsets held up to all the expected weather eleiments including multiple spills in muddy, sandy and fine dusty conditions. It’s a tough and essential peice of equipment. I ride with soft earplugs which doesn’t inhibit the clarity or bass. I often ride with full value with no distortions, though havibg more volum and bass would be ideal - or perhaps it’s my pipe! I don’t think theirs a better product on the market. We have enjoyed these a bunch. Battery life is long. Too long some days as my wife rides her own and wants to chat...a lot. I do wish that it had an FM radio, but we can stream the Bluetooth Pandora from one phone too both helmets. It has also paired well with two friends that have different brands. So, that has been handy too. Been using them constantly since we got them. Wife rides in a sidecar and anything above 30 miles an hour got hard to communicate even yelling - so we bought the Sena dual pack. Makes 'wind-therapy' time even more enjoyable. Great for talking - pretty good sound quality for music - don't expect great bass from such small speakers, but still a ton of fun. Don't depend on the Sena support to solve any of your problems, they are worse than Comcast. I tried calling and I tried chat, both are worthless. All the technician could recommend is do a factory reset and start the process of pairing and settings all over again when all I wanted was to get Google map directions from my phone. I called a Revzilla tech and he walked me thru the process in 2 minutes! Installation was easy enough although full face and three quarter helmets are easier than my half shell. The wind noise is annoying and prevents the voice activation from working properly because the wind keeps it activated. I'm sure it would be much better on full face helmet. One of things that always annoyed me about riding my bike was no radio. I haven’t had a bike in 9 years and I bought one about a month ago. My first purchase chase was this headset and I have to tell you, they’re awesome. I’ve seen some people complain about the lack of bass in the music but what do expect. The speakers are the size of a few half dollars glued together. I tired the intercom function with my son on the back yesterday and I could hear him perfectly. I have no friends so I don’t know how it would sound from bike to bike but I’m sure they would work great. Installation was a piece of cake. 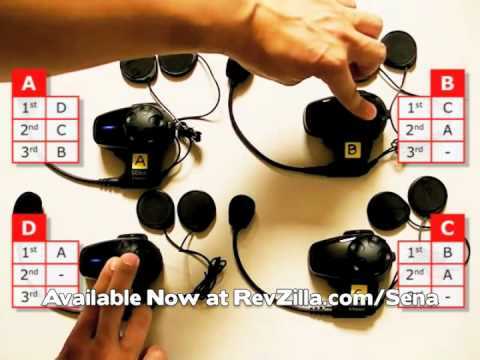 The speakers are held in by Velcro so you can easily remove them. You can easily remove the whole system. I would work on their operation guide but I was able to figure it out so I’m sure anyone could. I highly recommend this product and the price is right. 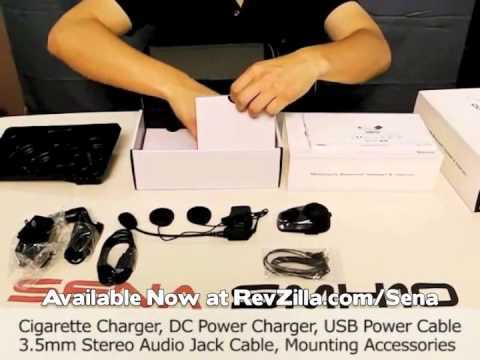 Easy install, simple to pair, easy to work and battery life is fantastic. Wife is a new rider and this makes it great to communicate and ride. Great product. 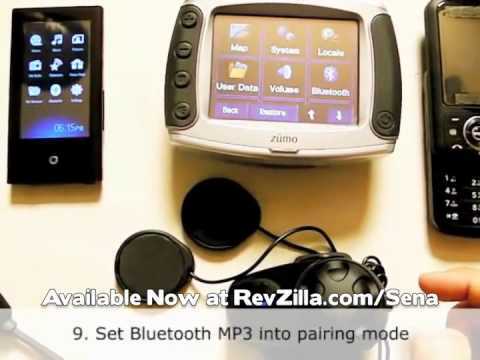 Works the way a bluetooth system should work. It's quite a bit more expensive than the ones I bought from Amazon, but hey, those systems were total junk, as soon as you would go over 40 mph the system was completely non-funtional. So the system is worth the money because it actually works, it's easy to use, and is professionally designed, manufactured and packaged.